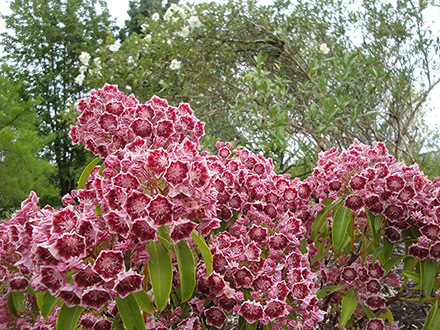 Cinnamon purple flowers with white edges arrive in June. Bronzy-red new growth. Heat tolerant.